When choosing the best merchant services for your business, you'll need to incorporate reliable & secure credit card processing services that suit your business' needs. We have reviewed the top rated service providers for small business & analyzed their features, pricing, fees & service offering for you. All of our review scores are unbiased & sourced from real users. Credit card processing is a necessity if you want to grow your business today. Most people want to have the option to pay with plastic, and by only accepting cash, you are severely limiting your business. If you’re running a business or trying to start one, one of the first things you’ll need is a credit card processor and a merchant account to ferry the funds to your business account. What these are, how they work, and what else you need to know about merchant accounts, credit card processing, and other payment processing options are all topics we’ll cover today, so sit tight, and prepared to be enlightened! Only then can you receive your slice of the pie. Any business that wants to accept debit or credit card payments is going to need a merchant account. There’s just no way to accept plastic or e-checks without one. Nowadays, many small businesses operate partially online, and credit cards are the main source of payment for the majority of their customers, which is why merchant accounts for small businesses are even more relevant. Small businesses can’t afford to be picky when it comes to payment options. With such a small clientele and so much competition, SMBs need to have as much flexibility and options to offer their customers as possible. Once all this is taken care of, a second stage known as settlement occurs before the sale is finalized and you can receive payment for the transaction. Settlement happens after the customer has left your store. You’re probably familiar with some big name payment gateways including PayPal, Stripe, and Square. The big question most people have is what’s the difference between a payment gateway and a payment processor? They sound pretty similar in function, and in fact, the two are often synonymous. Payment processors are actual financial institutions that provide several features and benefits to businesses including payment distribution, compliance standards, and payment storage. 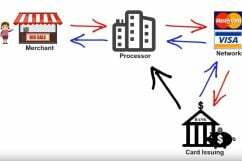 Processors connect to both the merchant account and the payment gateway. Many payment processors will also include payment gateways as a service within their greater packages. The payment processor analyzes the transaction data and sends it along to the necessary addresses. Payment gateways also transfer data from one place to another, which is why there’s so much confusion between these and payment processors. There are a few subtle differences like gateways handle encryption and authorization, but probably the biggest difference between the two is that payment gateways allow you to accept payments online or when the credit card is not actually present during the transaction. So, the payment gateway is more like a payment terminal for online purchases. They provide security, easy integration with e-commerce platforms like Bigcommerce and Magento, and allow you to accept a wide range of payment options. To sum it up, payment gateways allow you to process online sales and accept credit card payments, while payment processors are the financial institutions that work behind the scenes to move the payments along. Who are the Main Providers in this Space? Now that you are beginning to understand what credit card processing is all about, it’s time to find a vendor. There is plenty of competition on the market, but not all will be right for your business. To make things even more complicated, you have three separate functions you’ll need in order to accept credit card payments: credit card processor, payment gateways, and merchant account providers. Luckily, there are several vendors that combine them all. 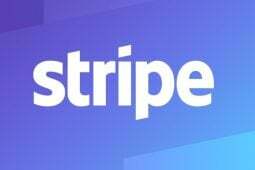 For example, PayPal, Square, and Stripe have payment gateways and payment processors included in their merchant account offerings. You can save your business a lot of money by opting for a vendor that combines these services. A merchant account is your window into credit card payment processing, something most businesses today can’t grow without. So, consider your options, sift through the competition, and find the best vendors, credit card processors, and payment gateways to get your business up and accepting every type of payment method today. A payment processor is often a third party company that is used by a merchant to handle their credit and debit card transactions. What extra features are offered will depend on the payment processor but their main objective is to enable you to receive payments online or instore through a card terminal. Payments are then forwarded to the respective issuing bank for verification with all the necessary anti-fraud measures taken. Once the purchase is approved, the information will be relayed back through the payment gateway and the transaction can be completed. An acquirer or acquiring bank is a financial institution that processes credit and debit cards on behalf of a merchant. A contract is entered into between the financial institution and the merchant and this enables the merchant to accept card payments from associated card providers like Visa, MasterCard, American Express, Diners Club and others. This arrangement provides the merchant with a line of credit which allows daily payment on the net balance of the card activities. This is considered to be high risk for the financial institutions and extra charges are usually incorporated into the payment plan which makes this arrangement more expensive for merchants seeking a payment provider. An issuing bank offers branded cards like Visa and MasterCard directly to consumers. With credit cards that are issued, the banks have the liability if the consumer is incapable of paying their debts. When these cards are issued, the bank will extend a line of credit according to the rules set out by the card associated brand. A sponsoring bank is a Chartered Bank that is a member of Visa and MasterCard networks which allows them to process these transactions. When Should You Use a Payment Services Provider? If you have an online shop or service you will have to use a payment services provider. This is the only way you will be able to accept electronic payments online. With a payment service provider you will be able to accept all types of cards, bank based payments and bank transfers in real time. Multiple payment methods are set up through a single payment gateway and the software to be able to use this gateway is provided by the PSP which can connect to multiple acquiring banks and card networks. Multi-currency functions as well as cash payments, wallets, vouchers, e-checks and prepaid cards can usually be accepted and fees are either a percentage of each transaction or a fixed cost per transaction. 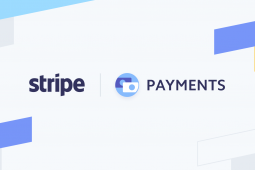 For small businesses or private internet sales, the best payment service providers are the ones that offer no contract, pay as you go payment processing. There are many low cost providers that are now offering their services to small businesses at very low fees. Some even provide a free card reading terminal that is wireless and can be taken anywhere. Unlike full merchant account providers, PSP services are offered without all the extra features, and are very simple to operate. PSP services are a more affordable for low income businesses and the most popular payment processors for individuals or small businesses are PayPal, Square and Stripe. 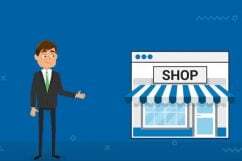 When Should You Create a Merchant Account? For medium or large businesses with a high turnover it is best to create a Merchant Account. You will be allocated a merchant identification number that automatically identifies you to financial institutions and credit card associations. For high volume businesses creating a merchant account is also safer and your transactions are guaranteed to be more stable than using a PSP. Most merchant accounts also provide extra features which include PCI security and customizable payment gateways which in most circumstances are well worth the extra cost. Try to find a merchant account that offer flat rate pricing which is easier to budget for. Long term contracts should also be avoided so that you do not have to pay early termination fees if you decide to change your account. Consider what hardware you will need and check for special bundles available through merchant account websites. Many of these companies offer a variety of EMV compliant payment terminals and mobile card readers. In some cases the first terminal or reader is offered free when you open an account. Integration with your website is also important if you are running an online store. Some merchant accounts offer options for customizing your website and shopping cart. All payment providers and MSPs are working hard to keep up with the latest technology and the high demands that their customers have. There has been a big change in how the payment industry is utilized and there are quite a few new trends reshaping the payment chain. Greater attention is being directed at supporting local and international shopping with streamlined checkout experiences to reduce abandoned carts. Digital wallets are replacing payment products and services that were almost exclusively handled by issuing and acquiring banks, and these payments are migrating into native apps, POS software, wallets and other connected environments. Even though digital wallets continue to be a small part of how consumers pays for their purchases, wallets have been around for many years and their popularity is growing. Apple Pay is another form of payment that has proved to be popular since it was launched. Financing alternatives have also existed since the year 2000 with Bill Me Later, which is now PayPal Credit. Square has also introduced their Square Installments service and recent surveys show that more than a third of US E-Commerce businesses have indicated that they are planning to offer purchase financing options to their customers. As retailers adapt to improve their appeal to shoppers by offering installment payments from their customers, it remains to be seen what the impact will be on credit card issuers. Choosing the best merchants service suited to your needs is fundamental to any business in the 21st century. To set your business up for success, you’ll need to be open to accepting payments across a multitude of platforms in order to make it easier for your customers and of course to up sales. A merchant service is imperative to the processing of these different payment methods. Q. 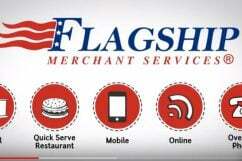 What is a merchant service? A: First things first, merchant services are used to describe payment processing and certain services that allow a business to accept electronic payments, and all form of payments. 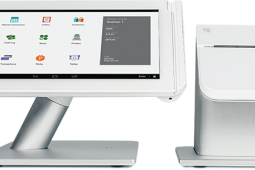 This can be in the form of software or a credit card machine for the direct processing of credit card payments. Credit card merchant services will ensure that as soon as a transaction has been approved, the merchant account is funded. Q. What other services do MSPs offer ? A. eCheck and ACH – these are commonly offered by merchant services providers to check acceptance solutions. Other services also include easy ways of accepting payments online such as payment gateways, integrations and shopping carts – perfect for websites. Q. Why do I need a merchant service? A. Any business that wishes to receive funds via credit card will need to sign up for credit card processing services and gain approval from a merchant bank or your merchant account. This will allow your business to accept payment in credit card form as well as providing other payment solutions (including eCheck). Q. How exactly does the process work? A. As your customer swipes their card through your business’ credit card reader, your merchant bank will receive the credit card information and essentially act as the middleman, interacting with card associations and the bank of the cardholder (the customer) to complete the funds transfer. The merchant will also receive a small payment for the sale. Q. 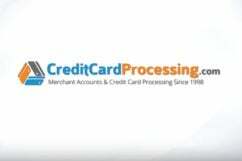 What are the benefits of using a credit card processor? A. 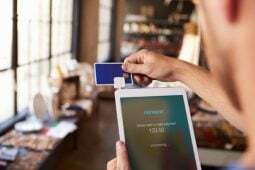 Simply put, your business will now be able to accept credit card payments and you’ll no longer be missing out on valuable impulse sales when customers only have their cards handy. This is also particularly useful for eCommerce companies where all payments are completed online. Q: Isn’t Square free credit card reader enough? A: Well that is very much depend on your business and business needs. If you are a “Micro-merchant” (small merchant with not a lot of processing daily), then yes. Using just the free Square reader is a great way to start. But.. 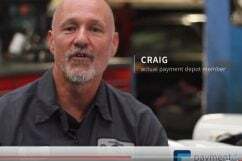 If you own a store, a bar or a restaurant, then no, you will need, or may I say want, to invest in a more robust hardware that supplies not only the reader but much much more. Q. How long does it take to set up an account?